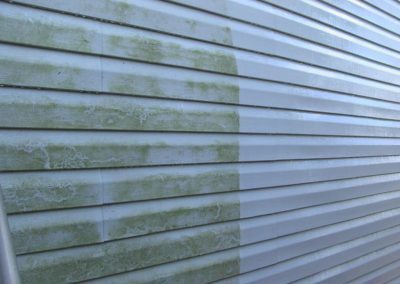 You’d be amazed at the amount of muck and dirt that builds up on the exterior of a building over the years. 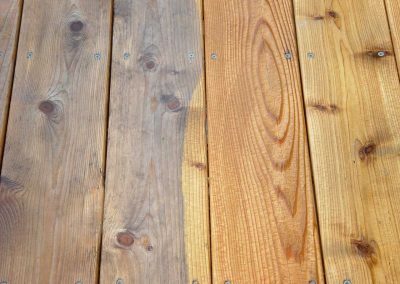 This grime can make everything look dull and therefore less valuable. 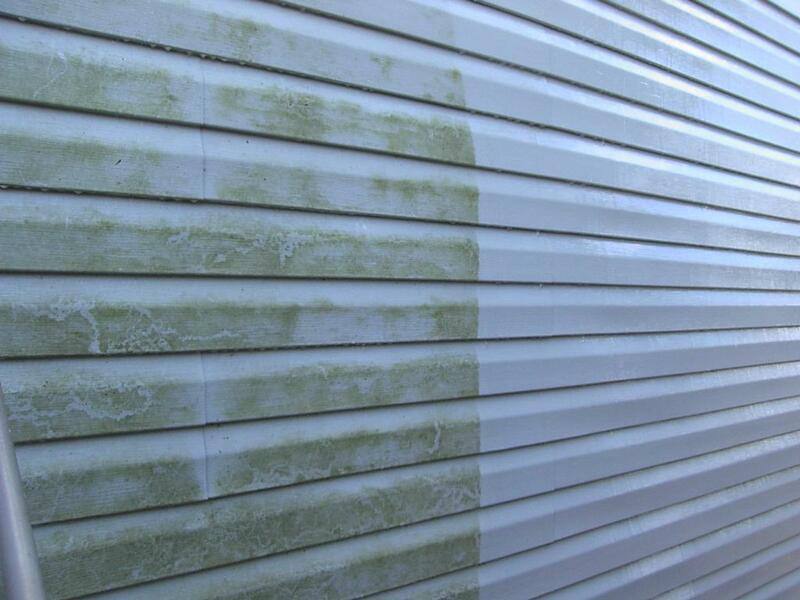 Getting your house pressure cleaned professionally can make a noticeable difference. Clean the roof, gutters, walls, windows, paths and driveways, literally everything! 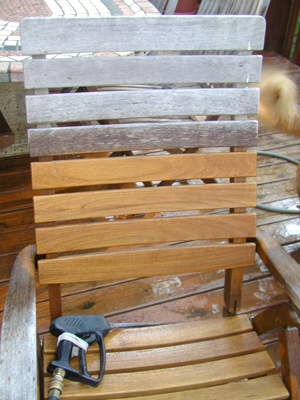 You’ll strip away years of built-up dirt and grime in a flash. 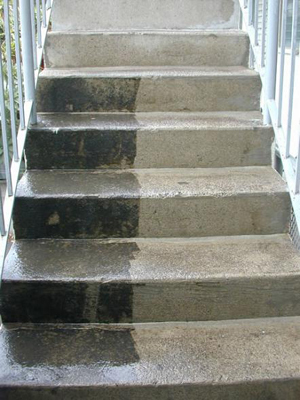 Making everything seem cleaner, fresher and well maintained will affect the perceived value of your property. We specialise in a pressure cleaning service that is gentle enough to leave the various surfaces in their best possible condition, while being powerful enough to knock off any grime, dust, moss and other unwanted material from houses and paths. 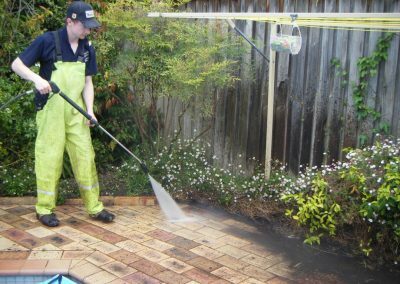 We can clean almost any surface including weatherboard, brick, rendering, concrete paths, paved areas, driveways and wood decking. All of our workers are fully insured, and they are well trained so that there are no mistakes. 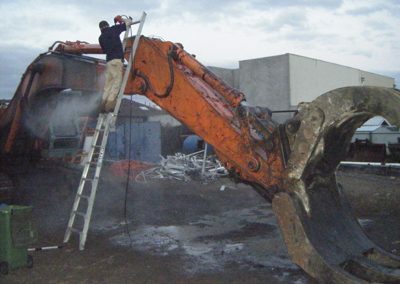 We clean up after we have finished a job, so there are no pools of dirty water sitting around and all the dirt and mud removed is cleaned away. 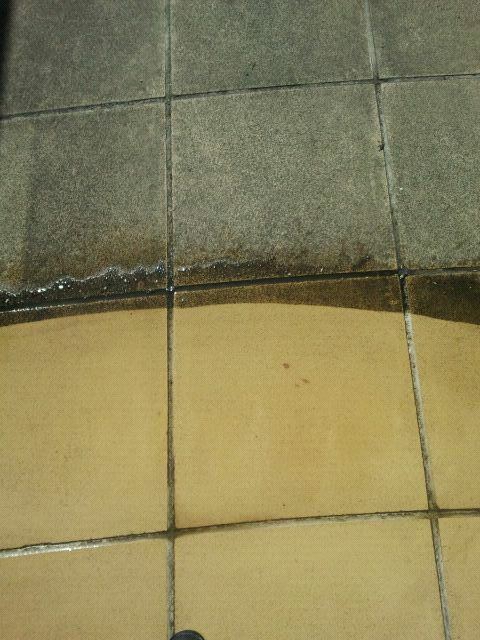 High-pressure hot water cleaning of concrete, tiles, pavers, driveways, buildings, loading bays, etc. Water is heated to 80 degrees and 4000PSI, and we have every attachment needed for any job. 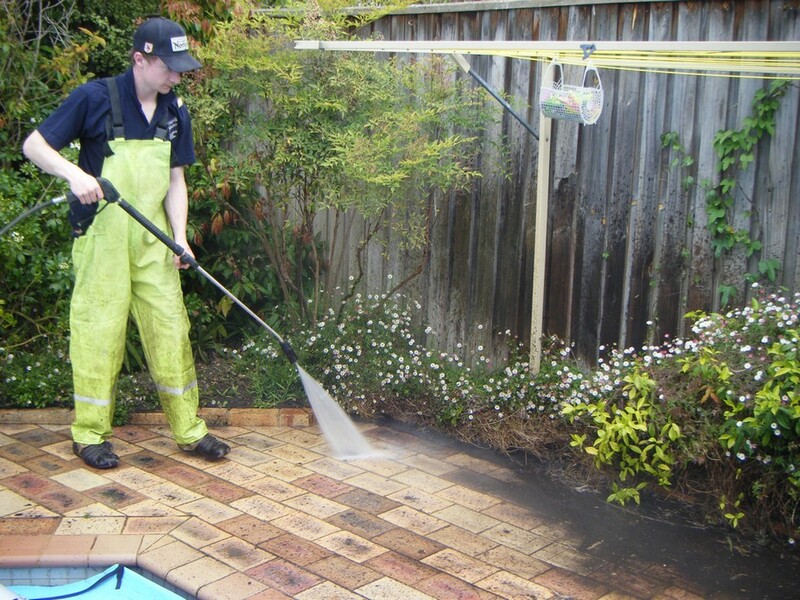 Lesters Pressure Cleaning is an owner-operated business based in eastern Melbourne. 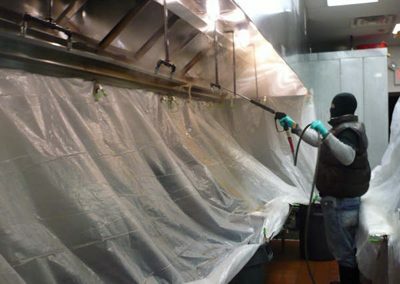 We take great pride in our workmanship and reliability. If you have any queries about the services we offer please do not hesitate to contact us to ask, we will endeavour to find a solution that works for you. 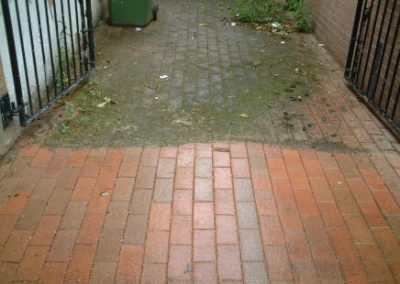 Commercial and Industrial pressure cleaning can be used for many different applications. 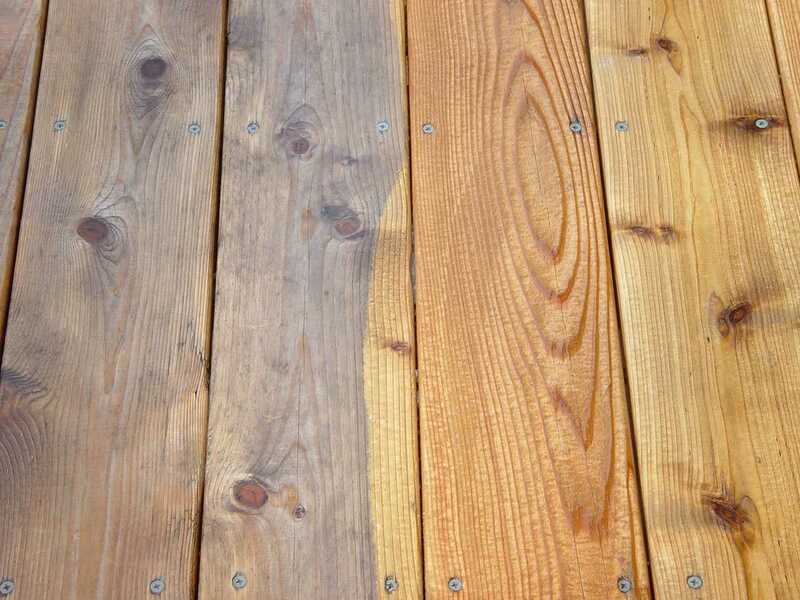 Our expert staff are reliable, they arrive on time and get the job done as agreed. They are all fully insured and properly trained in the job. 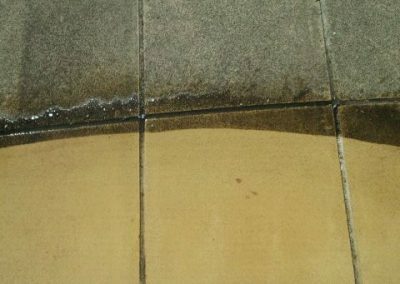 We can use our commercial pressure cleaning rig on offices, shop fronts, warehouses, factories, truck bays and many other places. 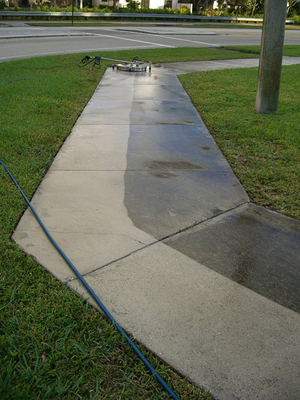 In fact if you have a need for pressure cleaning, give us a call and let us quote you on it right away. 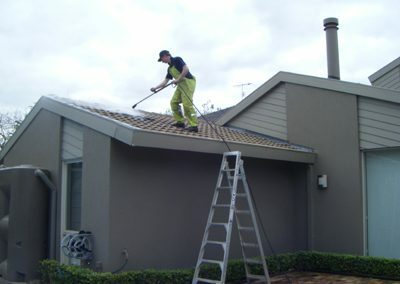 We are a trustworthy, reliable business with full insurance on all our jobs. We come to your home and with a minimum of fuss, and with due respect to your privacy, pressure clean your house efficiently. 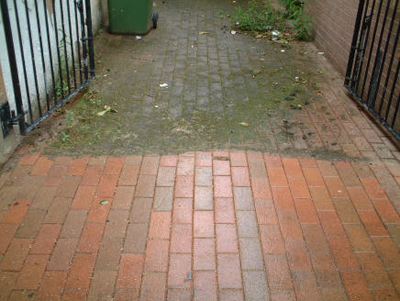 We quote competitively, and all our work is carried out by professional experienced pressure washers.